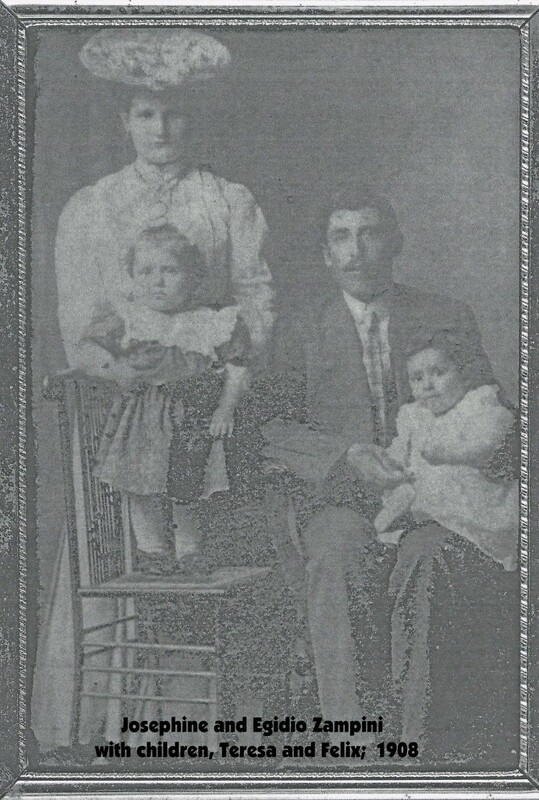 Egidio Zampini first appears in the Painesville, Ohio, area about 1898. In America, Egidio Zampini was known as Charles Zampini. Egidio Zampini, son of Felice Zampini and Teresa Notte, was born on May 7, 1882, at Frosolone, Italy. He married Maria Giuseppa DiIorio, daughter of Filippo DiIorio and Maria Filomena Vitolone, on March 11, 1904, in Italy. Egidio died on Thursday, June 11, 1953 at Lake County Memorial Hospital at Painesville, Lake County, Ohio, at age 71, of diabetes mellitus, with uremia. 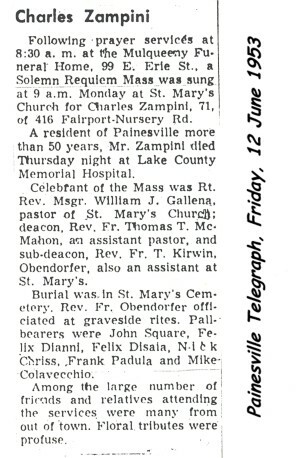 His body was interred at Saint Mary Catholic Cemetery at Painesville Township, Lake County, Ohio. Egidio Zampini first immigrated to the United States on March 15, 1898, at age 15. 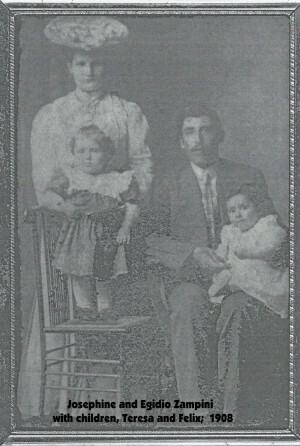 Egidio returned to Italy and married, about 1902. He re-enters the United States on May 4, 1904, at age 21, returning to Painesville with his wife and sister, Domenica Zampini. Egdio Zampini became a citizen of the United States on January 19, 1905. He resided at Lake County, Ohio, when he was Naturalized. 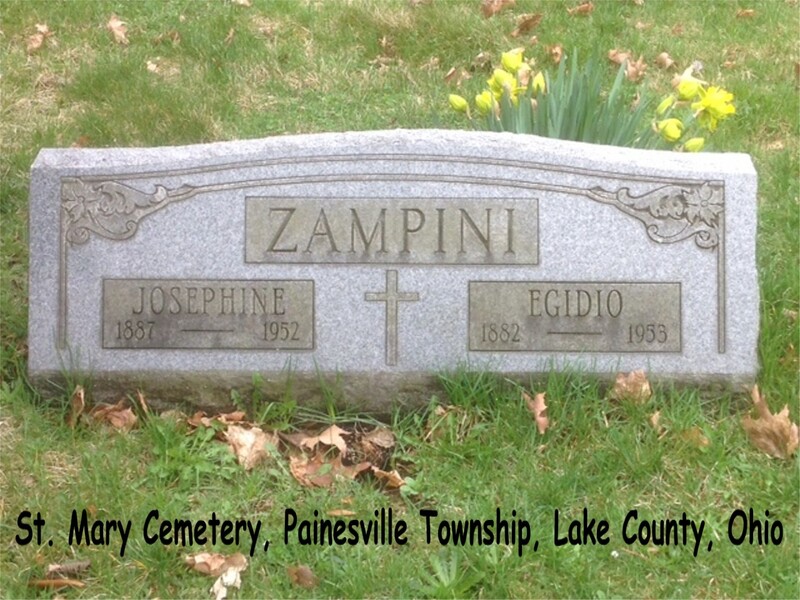 Egidio’s father, Felice Zampini, lived in Painesville from 1901 to sometime after 1905. 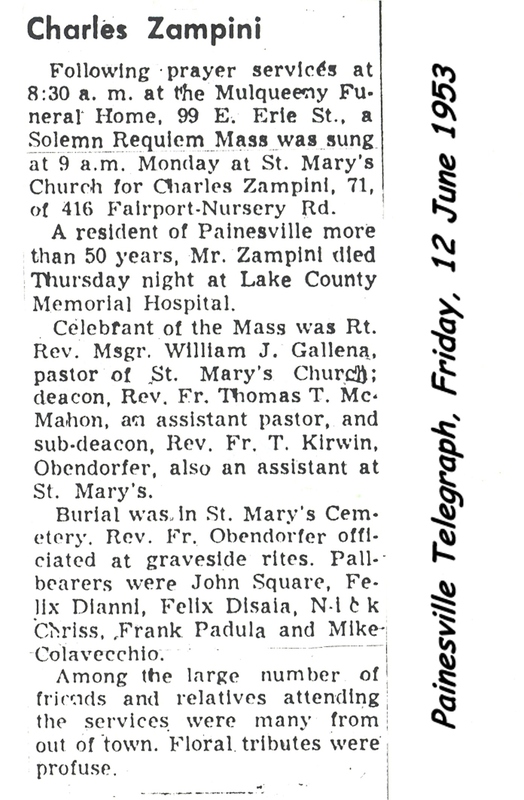 His sister, Domenica Zampini lived in Painesville from 1905 into the 1910’s. 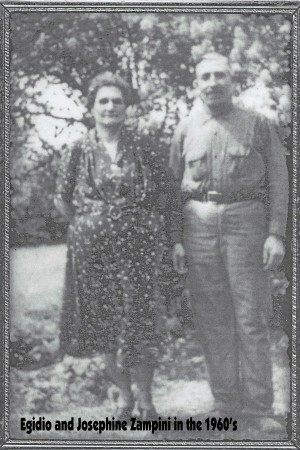 Egidio Zampini was employed by the Storrs and Harrisons Nursery for many years.